Choose which one of the white wines you would like to accompany the luxury selection of chocolates in this fantastic gift box. 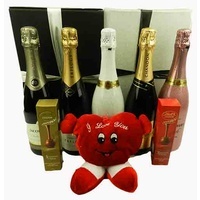 If they love wine and chocolates then this superb gift box will make a great present for them. Packaged in a wine presentation box, tied with ribbon.